When Volunteer Kendall first arrived in Senegal, one of the first things she noticed was the trash. It was everywhere: on the sidewalks, streets, in the marketplace, and it posed a major challenge for the Senegalese government. Consumption continues to increase as the country moves closer to a modern economy, but waste management is lagging behind. 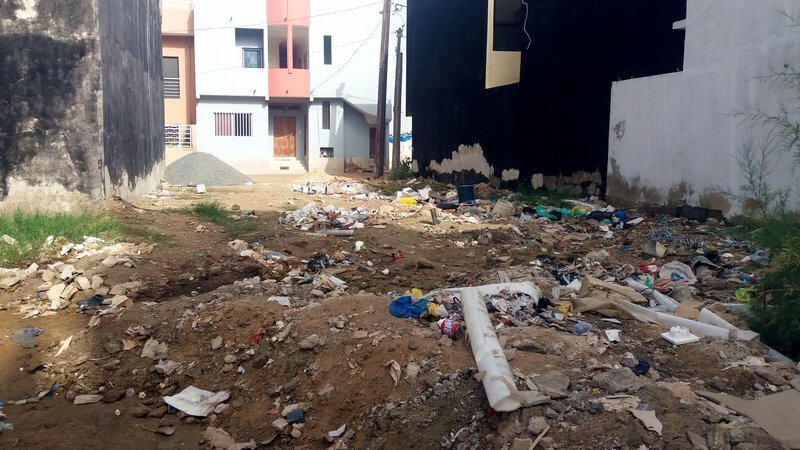 Municipality waste management services exist, but only in large cities, and they are often insufficient to handle the increasing amount of garbage throughout Senegal. To her pleasant surprise, when Kendall arrived in her village, the local residents already had an idea for a waste management project. A few years earlier, another Volunteer, Stephanie, helped create a waste management business in a nearby region called SENECOKAF. So, Kendall arranged to take 25 community members to meet with the company’s owners. They came up with a business model that gives local residents two trash pickups per week for less than two dollars per month. 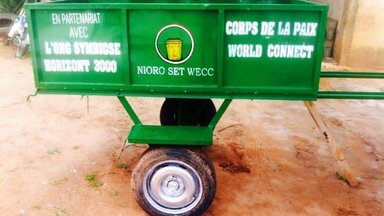 In April, Kendall secured the initial funds through a small grant to cover the start-up costs, including trashcans and horse carts, which are commonly used to collect trash in Senegal. Since the meeting with SENECOKAF, Kendall’s community members have held frequent meetings, mobilized a smaller group to do a market study, and trained people to make door-to-door visits to sensitize people about the environmental impact of littering. Although Kendall and her community have run into some challenges securing land and office space, they are well on their way to creating a functioning enterprise. In the meantime, they continue to educate health workers on how to conduct home visits... This is part of a larger plan to change attitudes toward waste management that is essential to the success of the project. Kendall is a Community Economic and Development Volunteer in the Kaolack region. She is originally from Maryland and joined Peace Corps immediately after college.